Not everyone knows the Astor name today, but everyone did from the late 1700s on. Johann Jacob Astor was the first multi-millionaire in the United States. Even after retiring, he would continue to support culture in America, including the ornithologist John James Audubon, the poet/writer Edgar Allan Poe, and the presidential campaign of Henry Clay. Four generations of success later, dozens of heroic stories would revolve around John Jacob Astor IV, a super wealthy American who died on the Titanic, helping women and children to the lifeboats. Four more generations later, and the tables would turn, associating the Astor name not with heroics, but fodder for tabloids and the courts. The Tragic Story Of Brooke Astor And Tony Marshall. For most of her adult life, Brooke Astor (who married the great-great grandson of John Jacob Astor IV) was known as the queen of New York society. As a multimillionaire and philanthropist she became synonymous with wealth, prestige, and privilege. She had class and maintained the highest of standings. And to truly understand where everything went wrong, author Meryl Gordon had to do a thorough and painstaking job of conducting more than 200 interviews and poring over countless diaries. The result was a reveal; the place where it all went wrong Mrs. Astor Regrets: The Hidden Betrayals of a Family Beyond Reproach. Most of it seems to have begun with a proposed gift. After spending a lovely weekend with her grandson, Philip Marshall, and his family at her Maine summer home, Ms. Astor decided to gift her grandson with a small cottage on the property. It seemed to make sense to her. It was already understood that Philip’s father (Brooke’s only child), Tony Marshall, would eventually inherit the Maine property. However, as soon as Tony learned about the offer, he pressed Phillip to decline and inexplicably began attempting to prove his 98-year-old mother was slipping mentally. 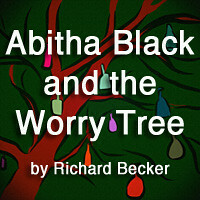 The Unfortunate Effect Of Alzheimer's And Perception. 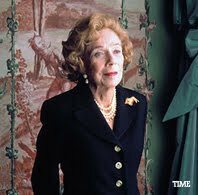 Although diagnosed with Alzheimer’s disease, Mrs. Astor was supposedly lucid enough to completely redo her will in 2002. She also signed several codicils in the following years, all of which shifted the bulk of her estate away from her beloved charities and into the hands of Tony and his wife, Charlene, whom Mrs. Astor openly despised. However, in the years following, Philip, fearing for his grandmother, sought to have his father removed as Mrs. Astor’s guardian, alleging that she was being deprived of the people (her long-time staff among them) and places (her New Jersey country home) she loved most in her final years. This eventual act seemed to remove the foundation from a house of cards. As one fell away, many would follow. Until finally, Tony would be charged with grand larceny, forgery, and possession of stolen property. Among the dizzying cast of heroes, observers, and villains, adding even more interest to the story: Charlene (Tony's wife), socialite Annette de la Renta; a devoted butler; several concerned nurses; Henry Kissinger; board members from the Metropolitan Museum of Art; several Rockefellers; and Nancy Reagan. 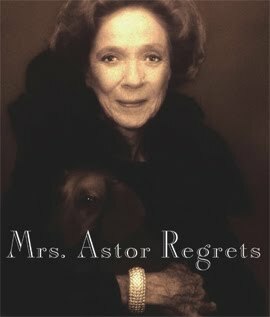 In 2007, Mrs. Astor died at the age of 105. And even though octogenarian Tony was sentenced to prison after being found guilty of first-degree grand larceny (recently appealed), questions about her pilfered $200 million estate still linger. Mrs. Astor Regrets By Meryl Gordon Weighs Heavily With A 4.6 On the Liquid Hip Richter Scale. 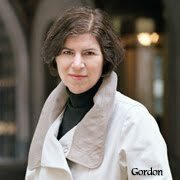 Gordon demonstrates enough chops to take into account the life of a remarkable woman, who seems to have become of a prisoner of her own fortunes at the hands of one dubious family member and perhaps accomplices. Readers will find the swings between the past and present a bit jarring in the beginning, but the author eventually finds her pace. It’s a fascinating and sadly tragic story, but not without role models who try to make things right. Mrs. Astor Regrets: The Hidden Betrayals of a Family Beyond Reproach is available on Amazon. The unabridged audiobook (13 hours, 42 minutes) is read by Lorna Raver, a well-spoken older lady of whom Mrs. Astor would likely approve.